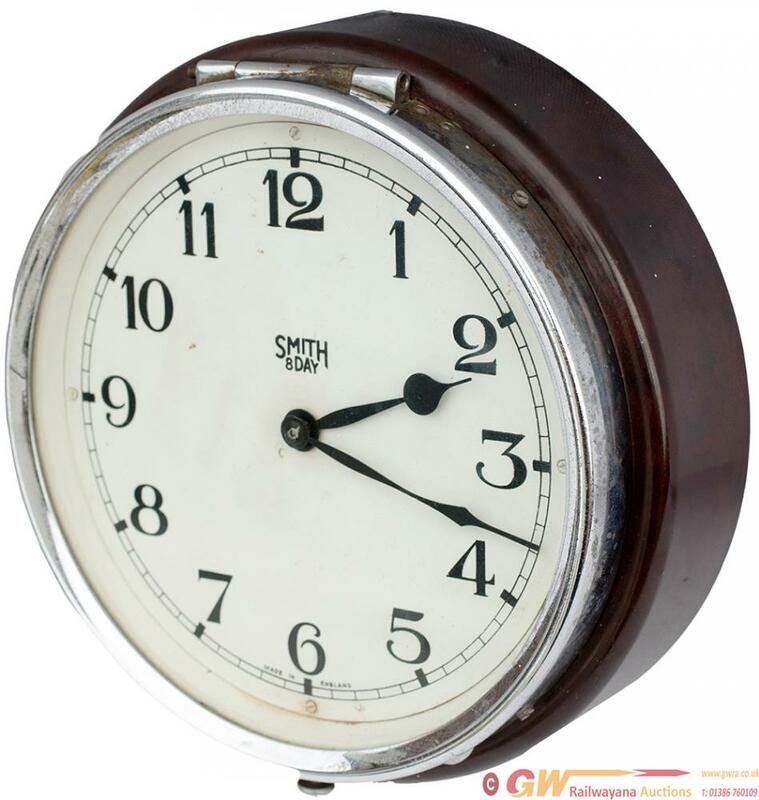 GWR 6in bus type clock by Smiths Of England. The Bakelite case has a chromed brass bezel stamped GWR and the steel back is stamped GWR 3982. The movement housing is also stamped GWR 3982. In good working condition as it has just been overhauled and had the platform escapement replaced.